The Author Colin Smith is an award winning digital artist, best-selling author, and trainer. 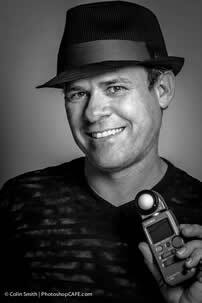 Colin is founder of the #1 PhotoshopCAFE online community which has received over 30 million visitors. 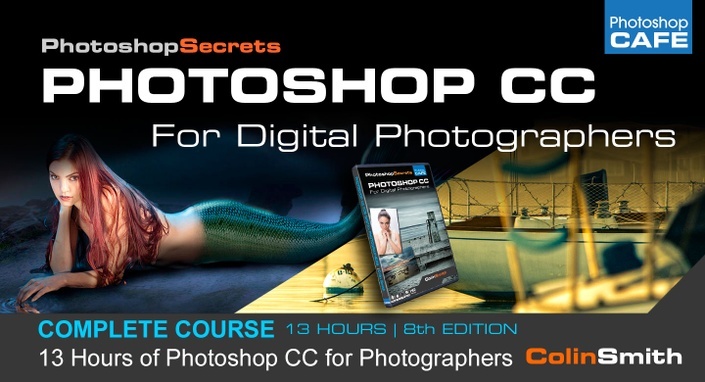 Colin has Authored/Co-Authored 19 books including Video in Photoshop for Photographers and Designers, Complete Photoshop for Digital Photographers, New Masters of Photoshop 1&2, How To Do Everything With Photoshop and Photoshop Most Wanted. He has won numerous awards including 3 Guru awards. He's been nominated for the Photoshop Hall of Fame twice. Colin has been featured in almost every major digital imaging magazine and is in high demand as a speaker at Photoshop World, WPPI, PPE, Imaging USA, Adobe MAX, creativeLIVE, Siggraph, PMA, CES etc. and He consults such companies as Edison, ABC Disney, Apple and Adobe.